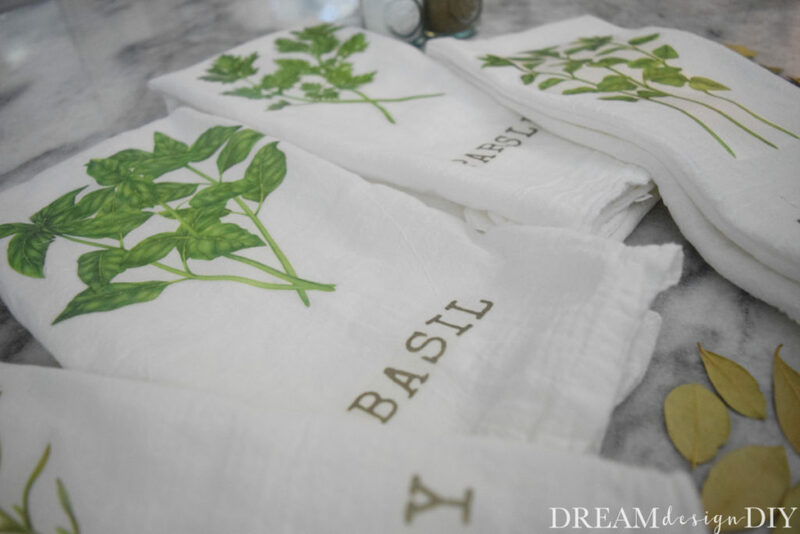 Make your own kitchen herb towels using this easy image transfer to fabric technique. Looking for a cheap and easy way to add some character and style to your kitchen? 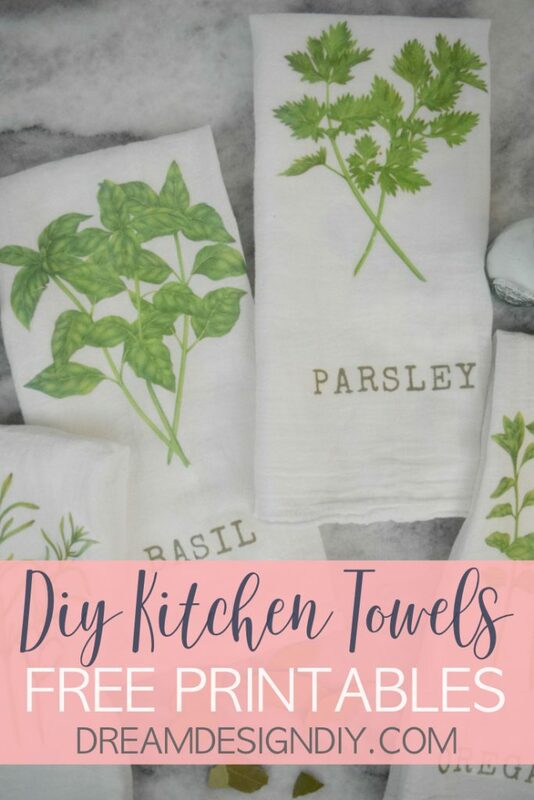 Kitchen towels are a fabulous way to add color and personality to your kitchen space and are easily changed out for the holidays and seasons. 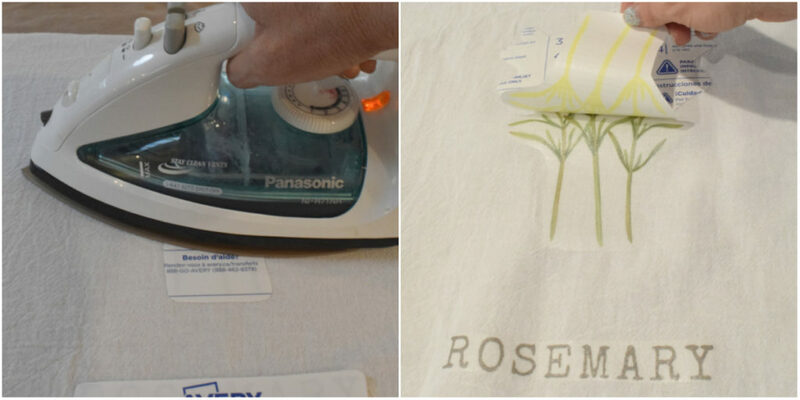 Create your own using this easy image transfer to fabric paper. 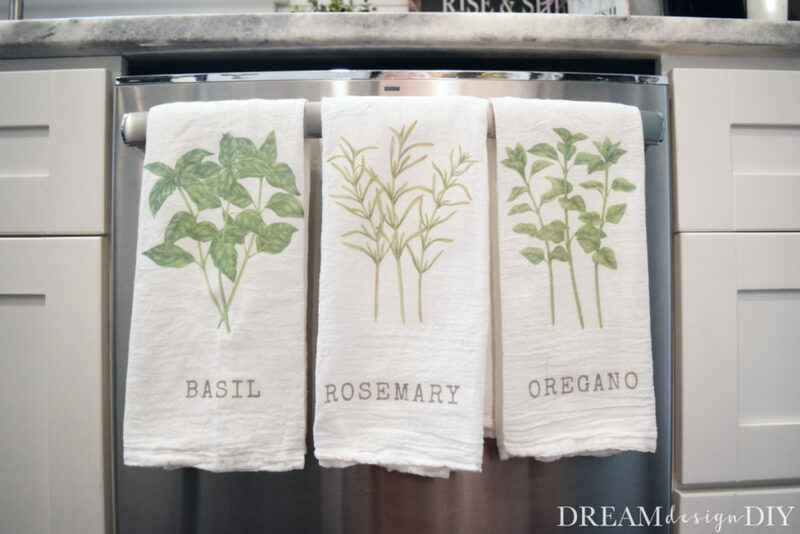 For example use kitchen towels to decorate for a certain style like these Farmhouse Kitchen Towels. Decorate for the holidays with some fun Christmas Kitchen Towels and you can even double up on your seasonal decor with this dual Thanksgiving and Christmas Kitchen Towel. 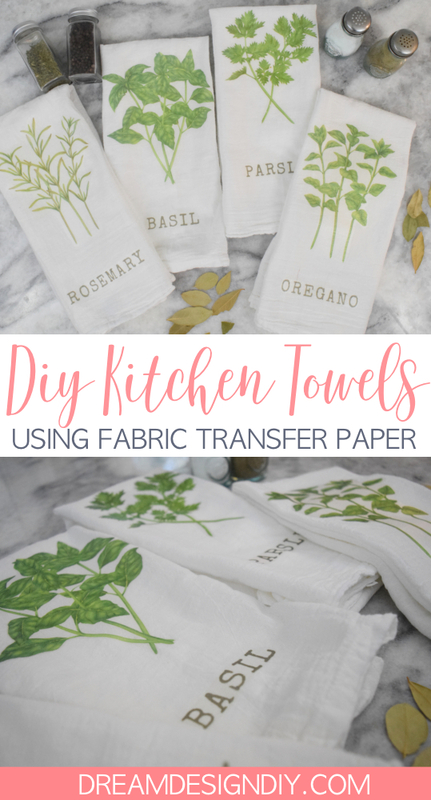 For this post I will show you how to easily add an image to kitchen towels using fabric transfer paper. No fancy pants laser printer needed. For this tutorial an inkjet printer works perfect. Here is the actual transfer paper I used. Step 1) I started out by creating the kitchen herb graphics. Make sure your image is flipped prior to printing as the image goes face down on the fabric. You can get these Kitchen Herb Images in my Resource Library (for personal use only). 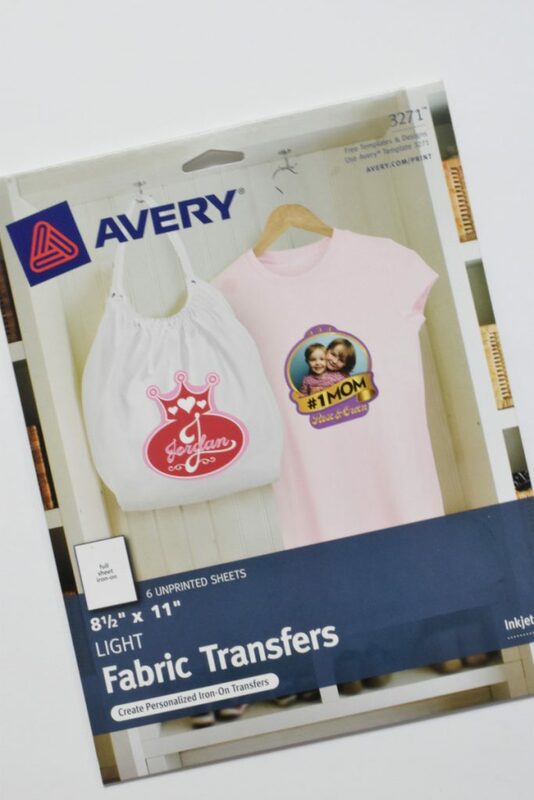 For this specific transfer paper I had to upload the image to Avery’s site prior to printing. I printed a test copy on regular paper before printing all of the graphics out on the fabric transfer paper. I cut around the graphics as best I could trying to keep the corners more rounded vs. pointed which prevents the edges from peeling. Step 2) Before applying the image I pre-washed and ironed my towels. 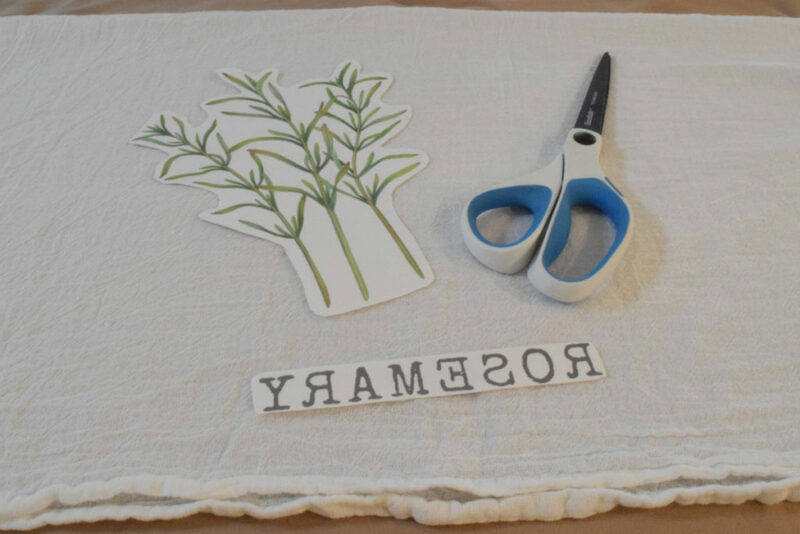 When the graphic is ready to be applied place a pillowcase under the towel on a hard surface. I centered the graphic with the help of measuring tape and placed it facedown on the towel. Next I ironed each graphic for about 3 minutes going left to right and front and back. After it cooled for a couple of minutes then I removed the backing. It was really simple to do. You can see the sheen of the transfer paper a little bit, but otherwise I was happy with how they turned out. These look beautiful in your kitchen or they make great gifts. 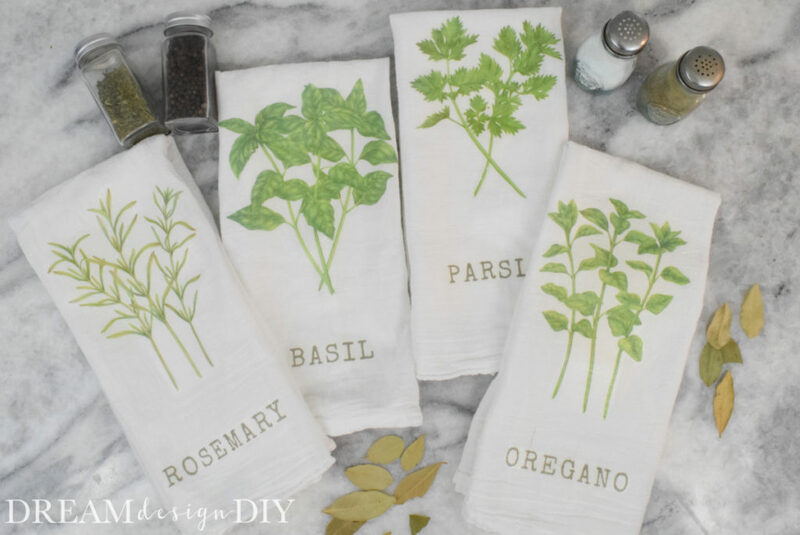 You can get access to these Kitchen Herb Printables and tons of other printables, graphics and designs by visiting my Resource Library. If you would like access complete the form below.